The newest faculty member in Notre Dame’s Department of Sociology originally planned to pursue a career in diplomacy. While studying in Cuba, however, Jennifer Jones came to the realization that the limitations of such a job would never satisfy her. “Diplomacy and state policy have a lot more to do with compromise than with trying to understand what’s happening on the ground,” she says. Instead, Jones decided to pursue a career in research and teaching, with a focus on the ways in which immigration policies affect the experiences and identities of various minority groups in the United States. “I liked observing the dynamics around race in other countries and that got me interested in comparing race relations and how race works here,” she explains. In addition to serving as an assistant professor of sociology, Jones will also join the College of Arts and Letters’ Institute of Latino Studies as a faculty fellow. “The Institute for Latino Studies recently launched an aggressive faculty hiring program in cooperation with host departments to bring to the campus the best young academics working in Latino studies,” says José Limón, director of the institute and Julian Samora Professor of Latino Studies. Jones, he notes, is the first of these hires. “Jennifer is an ideal bridge between sociology and the institute—and she is already attracting a great deal of attention for her cutting-edge research on contemporary race relations,” says Professor Rory McVeigh, chair of the Department of Sociology. 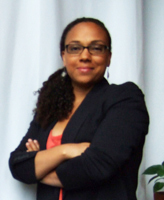 Jones, who is finishing a two-year postdoctoral fellowship at The Ohio State University, received her Ph.D. in sociology from the University of California, Berkeley, in 2011. Her dissertation focused on the experience of Mexican immigrants in North Carolina. Jones brings with her an already impressive list of accomplishments, including a National Science Foundation Dissertation Improvement grant and the 2012 Distinguished Contribution to Sociological Perspectives Award, which honors the best contribution to that journal during the previous two years. In 2012, the awards committee selected two articles as co-winners; the other was written by one of Jones’ new colleagues in the Department of Sociology—Assistant Professor Amy Langenkamp. At Notre Dame, Jones will teach courses on both race and Latino studies. “I’m excited to be bringing my projects to Notre Dame and to get in the classroom,” she says. Jones says she wants to influence her students as people, not just as thinkers. A Chicago native, Jones says she is also pleased to be able to bring her work closer to home—and to work with the faculty at Notre Dame in particular. Faculty in the Department of Sociology and Institute for Latino Studies are eager to begin working with Jones as well. “We have been interested in developing race and ethnicity as a primary area of teaching and research in the department,” McVeigh says. Originally published by Eileen Lynch at sociology.nd.edu on April 01, 2013.